Whether it’s to the beach, the park or somewhere further afield, more and more of us are choosing to travel with our canine companions in tow — after all they are a big part of the family. But how can dog owners be sure their beloved pooches are safe, comfortable and, most importantly, happy on the open road? Travelling with dogs requires careful planning and preparation, not to mention a range of equipment to guarantee their comfort and safety. While the majority of dogs are keen to leap into the boot for another exciting road trip with their family, it’s important to maintain their welfare to ensure a fun, safe and hassle free trip for all. Just like we pack our bags, check the route and nip to the loo before starting a long car journey, dogs need to be prepped and ready for travel, too. Here’s a list of the must-dos and must-haves you’ll need before setting off. While it can be tempting to give your dog a big meal before hitting the road, they won’t travel so well on a full stomach, and are more likely to develop travel sickness. 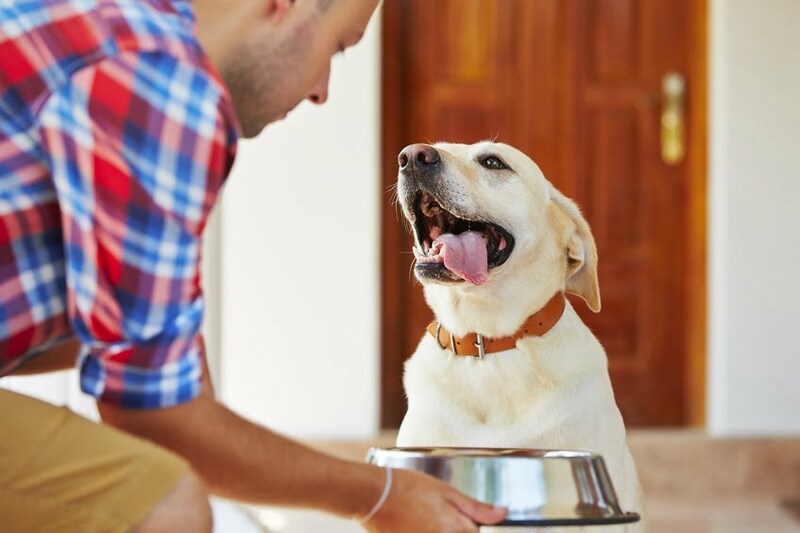 A light meal two hours before travel is recommended to keep your dog happy and healthy on the road, but if they get hungry during the journey don’t be afraid to stop and give them a little more food. Your dog should always have a source of drinking water when travelling in the car. Water helps dogs regulate their temperature, which is vital when travelling on a hot day. Specialist non-spill water bowls for cars can be bought cheaply, providing your pooch with liquid refreshment as the miles whizz by. Tip: Only feed your dog food that they’re used to during a long car journey. An unfamiliar type of food coupled with the motion of the car can have unpleasant consequences — and the less said about that, the better. On the day of travel, make an effort to monitor when your pooch goes to the toilet — particularly when they go for a number two. Healthy dogs can go anywhere from 1 to 5 times a day, and if you’ve had yours a while you will know its routine. Try to time your departure after they’ve been to the toilet, as this will lessen the likelihood of any ‘accidents’ on the road. It’s impossible to say when nature will call, however, so it’s a good idea to protect your car using a waterproof protective sheet. If your dog is going to be cooped in the car for hours at a time, it’s a good idea to take them for a good walk before crating them in the back of the car. Exercise will burn off excess energy, ensuring they don’t become restless and flustered. Dogs travel much better when they’re well exercised, so take some time out of your day to give them extra pre-travel walkies. Collar, lead and ID tag: Make sure the ID tag has your address and contact details clearly marked; dogs are more likely to get lost far from home. Food and water: Pack enough food and water to last the journey. Blankets, bedding and toys: Some dogs can be nervous when travelling in the back of the car. Packing their favourite blanket, bedding or toys can ease their anxiety and help them relax. Simoniz Upholstery Wipes: If your dog does a have an accident during the journey, you’ll be glad you packed wipes to clean up the mess. For tougher stains, Upholstery and Carpet Cleaner provides intensive cleaning, and the unique brush head makes it easy to get rid of unwanted marks. Simoniz Odour Neutraliser: Likewise, who wants to travel with unpleasant smells hanging in the car? This spray is guaranteed to quickly remove unpleasant odours and restore a new car smell. Baggies: If your dog needs to go in a service station car park, make sure you clean up their mess with a baggie. When it’s finally time to depart, it’s important to make your dog secure in the car. Many dog owners would like to give their pets free rein in the boot or the backseat, but this is bad practice and could result in an accident. Dog crates are great for transporting pooches by car, keeping everyone safe and happy for the duration. When choosing a crate for your dog pick one that they can stand up and turn around in, but avoid getting one that’s too big. While it can be tempting to give your dog as much space as possible, this could result in the dog becoming injured in the event of a crash. The crate itself should be well ventilated and strong, and should be securely fastened in place within the back of the car. If a crate isn’t suitable for your dog, there are other options that work just as well. For instance, you can buy harnesses which fasten to standard seatbelt restraints, giving the dog more freedom whilst keeping them safe in the event of an accident. Secure barriers are another option. 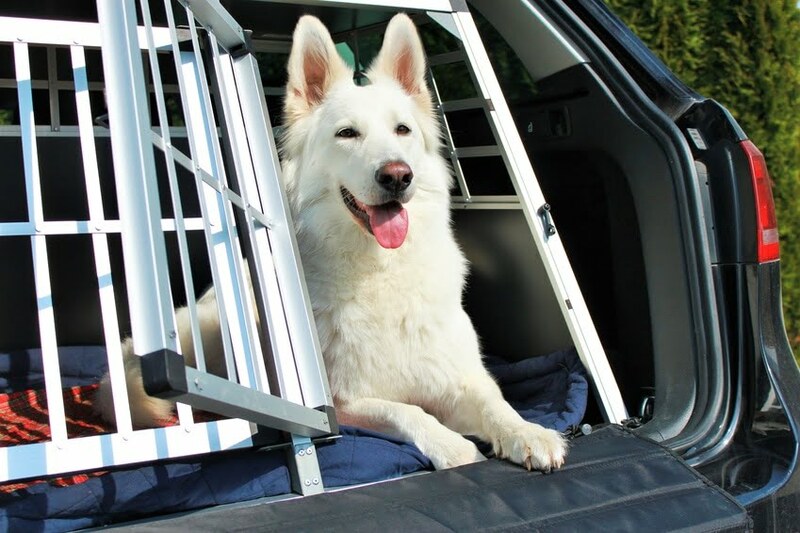 These frames can be fastened to the framework of your vehicle, and are great for securing your dog in an open area such as a large boot or the back of a van. You can put your dog on a car seat, but there are some things to consider if you do this. You will need to make sure they’re secure, with a seat belt or harness around them. For smaller dogs, you can buy secure seats and soft cases for them to sit in and stay safe. You can buy seat covers and “hammocks” for the dog to sit on the keep the area clean – no dog hairs (or worse) on your nice upholstery. As the dog won’t have much free space, it’s not a good option for long journeys. It will be difficult for them to drink water and stretch, so if you’re going on a long trip you should try to make space in the boot for them instead. There are loads of accessories available online and from pet stores, designed for different sized dogs and cars, to help them stay comfortable and keep your car clean. Tip: If your dog is nervous getting in a transport crate, introduce them to it before travel and let them explore it at their pace. Don’t shove them in, let them go in on their own and lock the door behind them. When you’re walking away, stay positive and avoid saying things like “Don’t be sad, I’ll be back soon” as this will make the dog feel like something is wrong. In short, if you’re calm they will be too. You might be used to sitting in a car for hours, but your dog probably isn’t. Driving with a dog requires patience, and you’ll need to factor in more stops than normal, and think about how you’re driving. 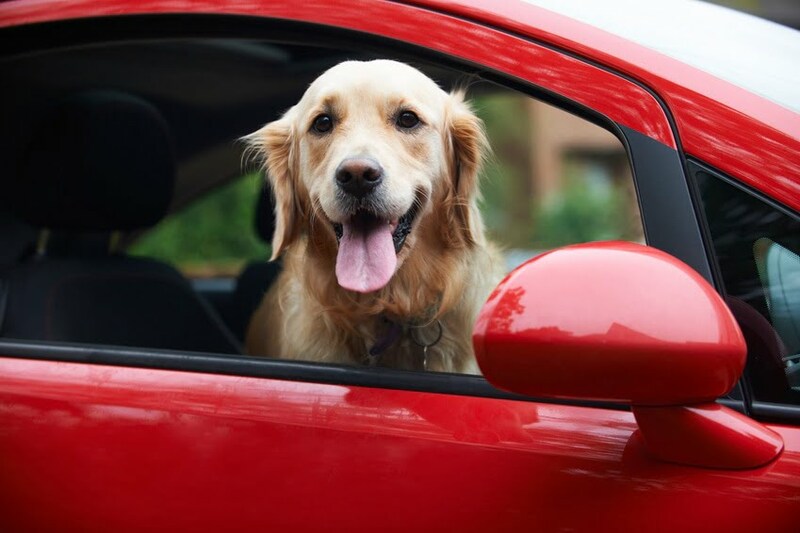 If your dog is unaccustomed to long stints in the car remember that the experience will be completely new to them, and try to keep their anxiety to a minimum. The easiest way to do this is to drive steadily and not too fast, particularly on winding country roads. Some dogs suffer from travel sickness, and this will serve to aggravate the problem. As when travelling with young children, you should be prepared to make frequent stops. On long journeys you should be looking to stop every two hours or so, so keep an eye out for timely service stations. 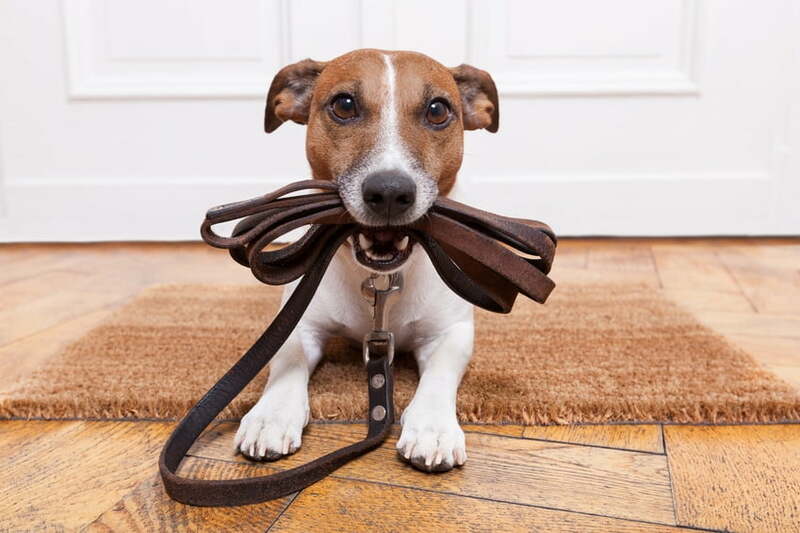 Like you, your dog will be happy to stretch their legs, go to the loo and have a few light refreshments. Just be careful when letting them out of the car — imagine the panic if they made a dart for the carriageway! If you think it’s hot in the car, imagine how your pooch feels in their furry coat. Make sure there’s a good source of ventilation going direct to your dog at all times, either from an open window or air conditioning. If you choose to open the windows your dog will need to be secure so they can’t make a break for freedom or hang out of the windows. Paws, tails and tongues should be kept inside the vehicle at all times. That loaf of bread or pint of milk can wait – you should never leave your dog in a parked car. 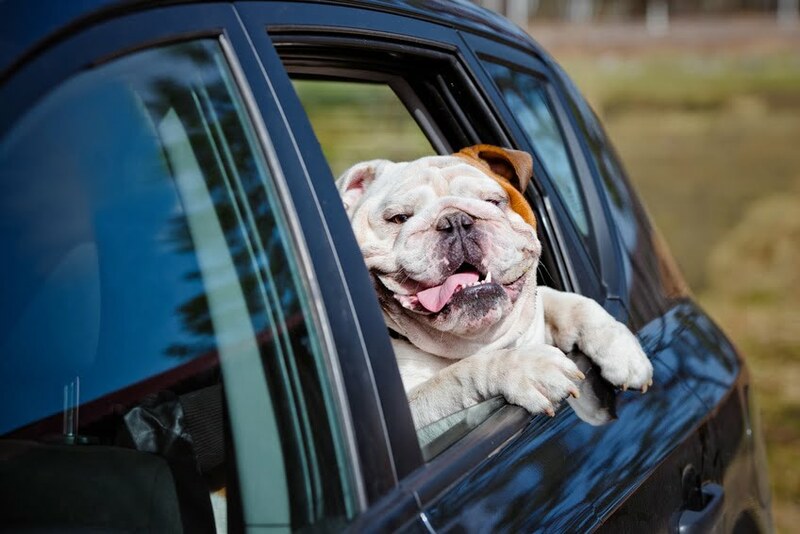 Even if you only plan on being gone for a short while, the temperature inside your car will soar to 40°C+ in a matter of minutes — and a small gap in the window isn’t enough to keep your dog cool. Dogs can die in hot cars, and you could face prosecution from the RSPCA and the Police If you leave yours alone. Arrived at your destination safe, happy and clean? Then it’s time to shower your pet with praise. Treating your dog after a successful journey will reinforce good behaviour, and help them to stay relaxed and calm on future outings. Give them a good full bowl of food before taking them for a walk, so they can stretch their legs and blow away the cobwebs. After that, the real fun can begin! Wherever you travel with your dog this summer, Simoniz products can be relied upon to remove even the most unpleasant of pet stains and odours. To browse our complete product line, visit the Simoniz website.